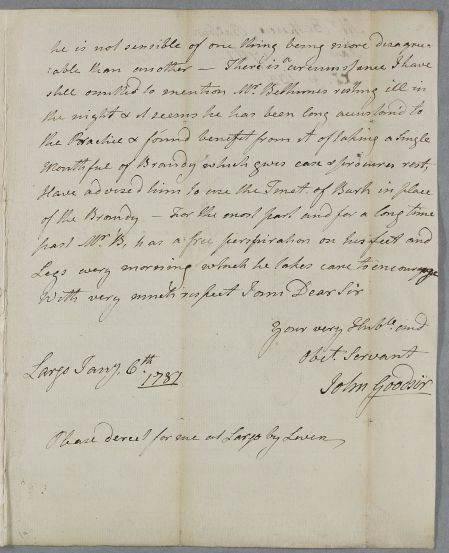 Letter from John Goodsir, surgeon of Largo, concerning the case of Mr Bethune of Balfour, who is 'about 70, of a full habit, short neck & reather a large head'. He is suffering from sight and balance problems, and also long-continued stomach and bowel ailments, for which Cullen has treated him in the past. Goodsir asks Cullen to 'direct for me at Largo by Leven'. 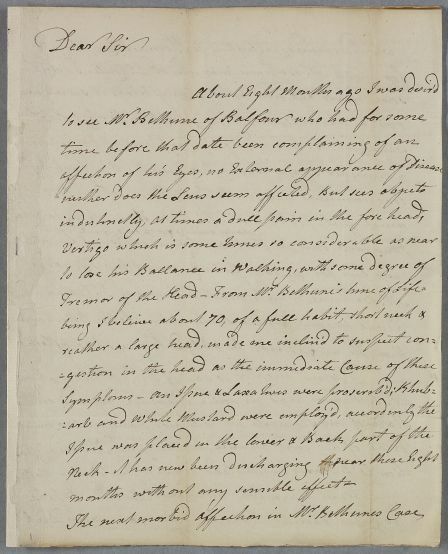 Summary Letter from John Goodsir, surgeon of Largo, concerning the case of Mr Bethune of Balfour, who is 'about 70, of a full habit, short neck & reather a large head'. He is suffering from sight and balance problems, and also long-continued stomach and bowel ailments, for which Cullen has treated him in the past. 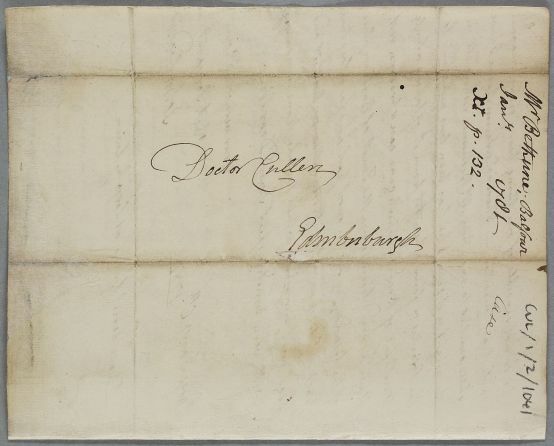 Goodsir asks Cullen to 'direct for me at Largo by Leven'. 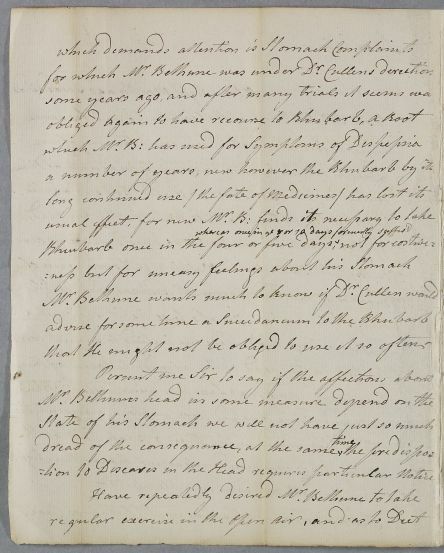 Case of Mr David Bethune of Balfour who consulted Cullen previously over stomach complaints (See Case 34). Now also has an eye problem, head-pains, abdominal pains and increasing weakness.